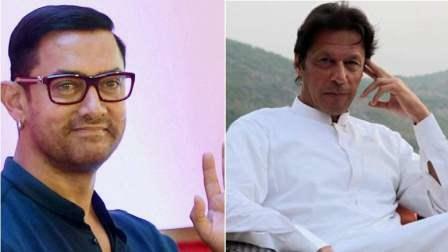 Pakistan's Prime Minister-in-waiting Imran Khan has invited Bollywood star Aamir Khan and former cricketers Kapil Dev and Sunil Gavaskar to his oath-taking ceremony on August 11, the Pakistan Tehreek-e-Insaf (PTI) announced on Wednesday. The development came after PTI leaders met Foreign Secretary Tehmina Janjua to discuss which foreign dignitaries could be invited to the PTI chief's ceremony, leading daily Dawn reported. Earlier reports said the PTI wished to invite the heads of South Asian Association for Regional Cooperation (Saarc) member states including Indian Prime Minister Narendra Modi as well as China and Turkey. But the party rubbished the reports. According to Dawn, members of the Pakistan Foreign Office said that calling foreign leaders to the oath taking was "a sensitive matter" and all perspectives needed to be taken into consideration. On Tuesday, PTI spokesperson Fawad Chaudhry said they would consult the Foreign Office regarding inviting foreign leaders. "Media speculations about international dignitaries attending PM oath ceremony are not correct. We have sought the advice of Foreign Office on the matter and will decide accordingly," he had tweeted. Khan's PTI emerged as the single largest party in the country's National Assembly after the July 25 election. However, it is short of numbers to form its government independently. It is now reaching out to smaller political parties and independent candidates for support to form a coalition government. But it is more or less clear that Khan is all set to become the Prime Minister.